As we’ve mentioned before, we spent all of our time on our last trip to LA in two places: Los Palos Verdes, and Beverly Hills. LA is so large and spread out, we’re planning more trips to LA so we can explore it all. We can’t wait to check out all of the things happening in Downtown LA! 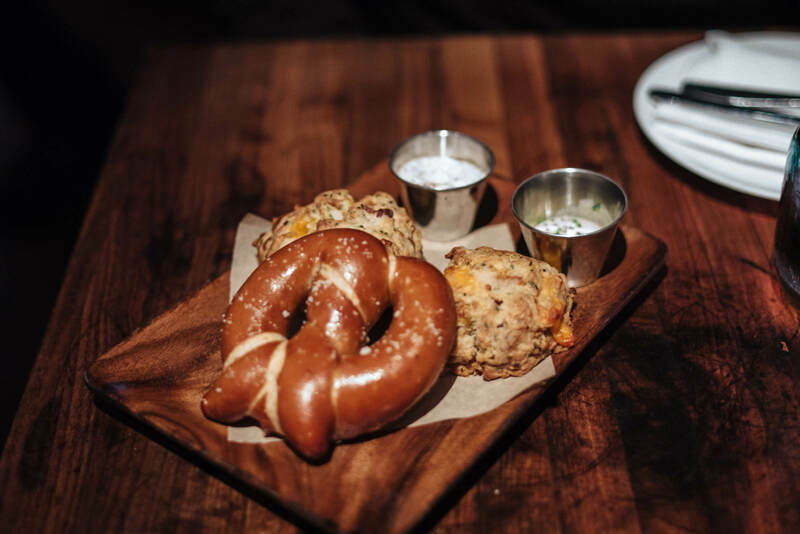 Beverly Hills is not really known for its culinary offerings, but we wanted to give our tips on our favorite places to go so that when you visit, you won’t have to settle for boring chain restaurants. If you find yourself in Beverly Hills, chances are you’re there to shop. Rodeo Drive is obviously one of the most famous shopping streets in the world. We spent a few hours checking out the shopping scene and weren’t disappointed. The Lanvin boutique, close to Wilshire Boulevard, is by far the best we’ve seen. Their Oak Street location in Chicago unfortunately closed, and we checked out their Milan shop last spring and it pales in comparison to the stunning LA store..
We didn’t go into the Hermès store, but it’s like none we’d ever seen before. We’re sure it’s the same stuff you can get in any Hermès around the world, but this location is really big and really white! The IWC Schaffhausen boutique on Rodeo Drive is gorgeous and we really enjoyed checking out their elegant and understated timepieces. We also stopped into the Fendi store briefly, until we realized the new shop in San Francisco is way better (the Palazzo Fendi in Rome will forever be the crown jewel of Fendi stores), and the Barney’s New York on Wilshire Boulevard is in a gorgeous building that’s definitely worth a stop. For luxury menswear, the ISAIA boutique is wonderful, but we are of course partial to their stunning new San Francisco location. For cocktails with an old-school Hollywood vibe, the iconic Beverly Hills Hotel is a must. Their wallpaper is of course eminently Instagrammable, but the cocktails at the Polo Lounge are delicious and the food is really good. Another classic Beverly Hills cocktail bar is the bar at Spago near Rodeo Drive. 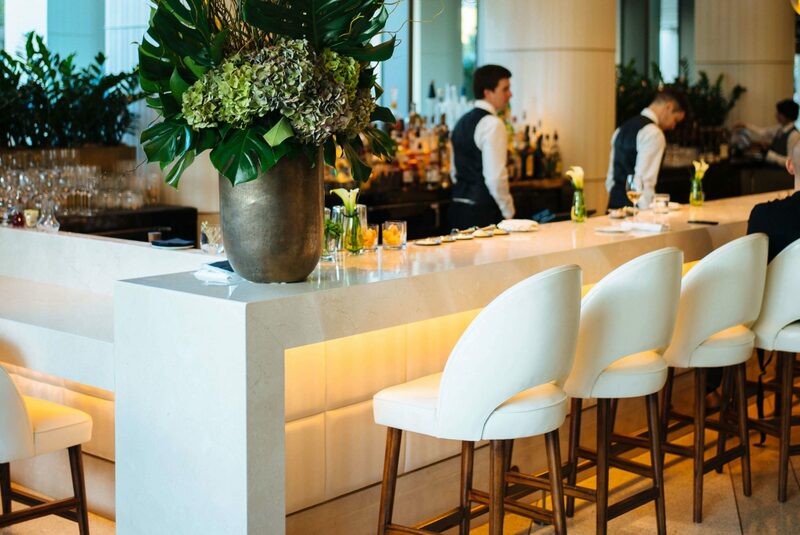 The new Waldorf Astoria is stunning, and in our opinion, surely the most modern and stylish cocktail bar in town. Get drinks at their incredible lobby bar, or if you get there before it fills up, on their swanky rooftop. For amazing French and American wines by the glass, check out A.O.C. Eataly LA opens this fall. Be sure to check out their wine bars for premium Italian selections by the glass. 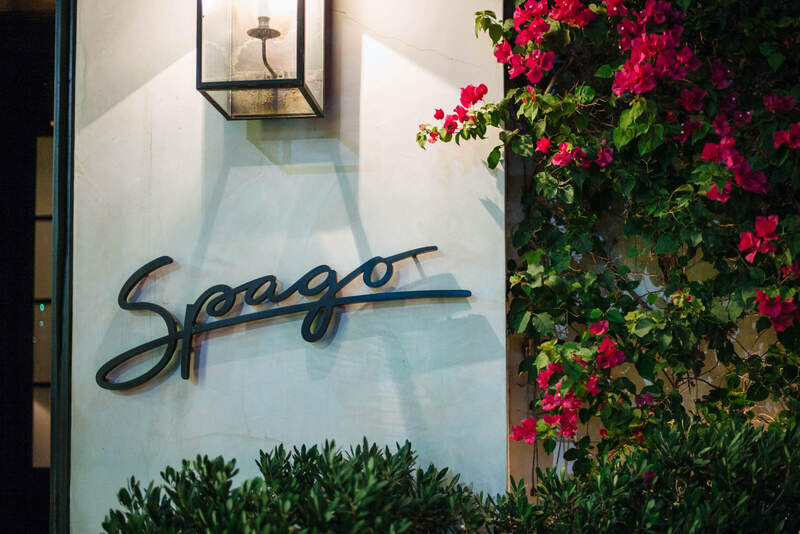 Spago is a Beverly Hills institution, headed by celebrity chef Wolfgang Puck. Ask anyone and they’ll tell you to go there. It’s exceptionally executed food with top-notch service and well worth a stop. Beverly Hills Hotel Polo Lounge is perfect for lunch or brunch, especially on the patio! If you go for dinner, inquire about their special-order soufflés or place an order two days ahead of time for lunch or brunch. On the opposite end of the spectrum, Sugarfish is great for a quick lunch. Don’t expect much—it’s the McDonald’s of sushi, but it’s great for a break from shopping and they do a great job of getting people seated quickly. For a vegan option, M Cafe is quite good. Their bean enchiladas were a favorite, and we loved their juices. it’s a great option to stop while shopping on Rodeo Drive. We also loved Pizzeria Mozza, an amazing collaboration by Mario Batali, Joe Bastianich, and Nancy Silverton, and we’ve heard great things about Toca Madera if you’re looking for Mexican food with a clubby vibe. A.O.C. also has great food and serves lunch and dinner along with a long list of amazing wines.